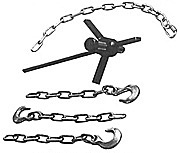 Adjustable chain allows you to pull any 3 bladed propeller. Hardened bolt to withstand torque. 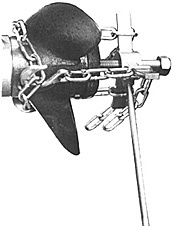 This unit features a removable arm to hold when turning thrust bolt. Very easy and quick to use.